The Korean War Web Ring seeks to link all web sites that deal with The War in Korea, 1950-1953. 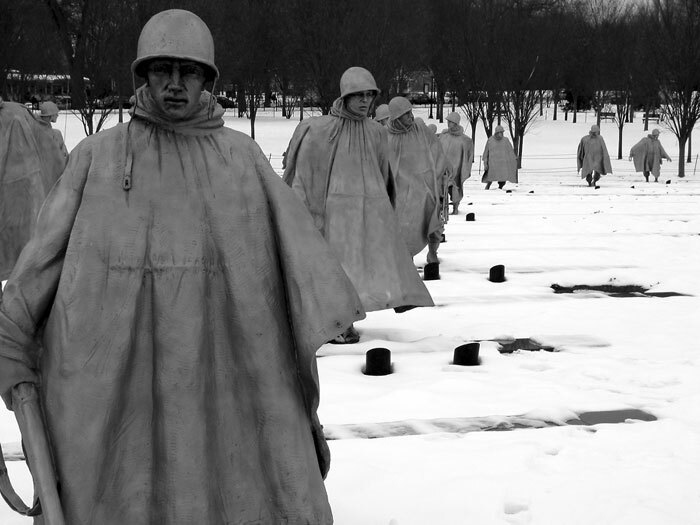 Its purpose is to increase awareness of The War and to foster appreciation for the great honor, valor, sacrifice, and dedication of the patriotic members of the armed forces of the United States and the other nations who successfully opposed the spread of communism on the Korean Peninsula. Our aim is to ensure "The Forgotten War" does not remain so. This site is dedicated to restoring WWII/Korea Jeeps, mfg. by Willys & Ford, and outfitting them with proper accessories, accoutrements and militaria. Jeeps are the #1 worldwide most recognized vehicles ever built. There is content for everyone. There are history/education pages, fun pages using new java,JS,and DHTML code. Korean War Memorial Custom Fit Rear Window Graphic is see through from inside and beautiful from outside. Have somethinf else you want made into a custom rear window graphic, please contact me. See some of my work at www.CarCareColorado.com and send me your request.